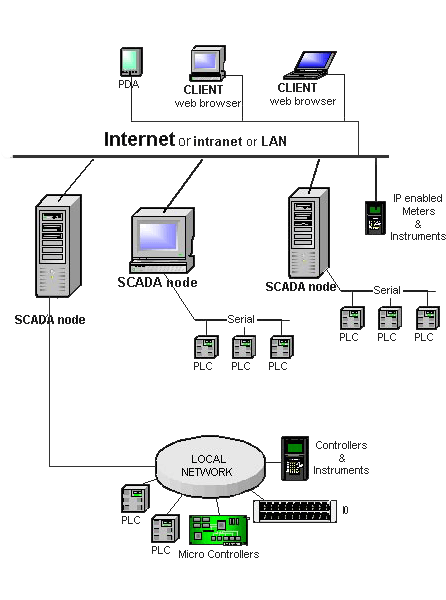 SCADA is a control system architecture which is created from computers, network data communication and GUI for the high-level processing. Also, it uses the Programming language controller to interface with the machinery. Concetto Labs is skillful in building such functionality that can be helpful for high-level supervisory management. 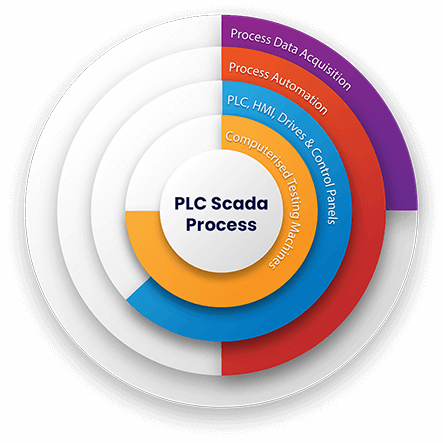 Why do we choose to work with PLC SCADA Development technology? Concetto Labs develop a solution with the aim of providing a creative and unique solution to the end client. So that, we tried to jump on the diverse range of technology that can be implemented in a way where a client can generate the maximum number of return on investment and get unique solution among their competitors. We have started working with PLC and a field of motion control with the objective of delivering the custom application with innovation, high level of performance and reliability. We at Concetto Labs develop software for Supervisory Control and Data Acquisition called as SCADA by using an advance technical system. We use WinCC, Movicon, Linux, CIMLICITY, Citect and also an object-oriented programming language. Automation development approach was accepted decades ago and Concetto Labs have implemented the same traditional strategy with the help of anthropomorphic robots to deliver the process automation to the realization of robotic cells. With the years of experience, our team has the capabilities to make wide-ranging arbitration in our company. We develop the integrated technology, system, and machines with the help of expert developers in our team. We create the solution through which we can manage the whole system through the single interface. The configuration of the automated system is created to get the highest level of flexibility. It is basically used to control the particular process of automation without having a control of external devices. We are able to create such a solution for the better compatibility. Energy automation solution is created to aim for providing end-to-end benefits of public power utility that was never possible before. Communication and network between two end to end devices and system software should be strong to manage the flexible communication. With the huge experience in Embedded development solutions with a diverse range of client among the globe, we have gained the expertise in following services. It covers the all solutions related to the technology. Nowadays, the demand for technology-based solution increase and our motto is to fulfill all those requirements. It is a subfield of the automation system that relates to the moving part of the machine in a controlled manner. A measuring instrument related to the devices that measure the physical quantity. We can create such a system that can compare the measurements among real-world components or objects. We have the talented resources in our company who can deliver the project with the exact match of your requirement. We move in the forward direction, so we always stick to use the latest technology in our development lifecycle. PLC Programming software is one of them. We never compromise in the delivery of the project. We work on milestone methodology so that we cannot delay in project delivery to the client. 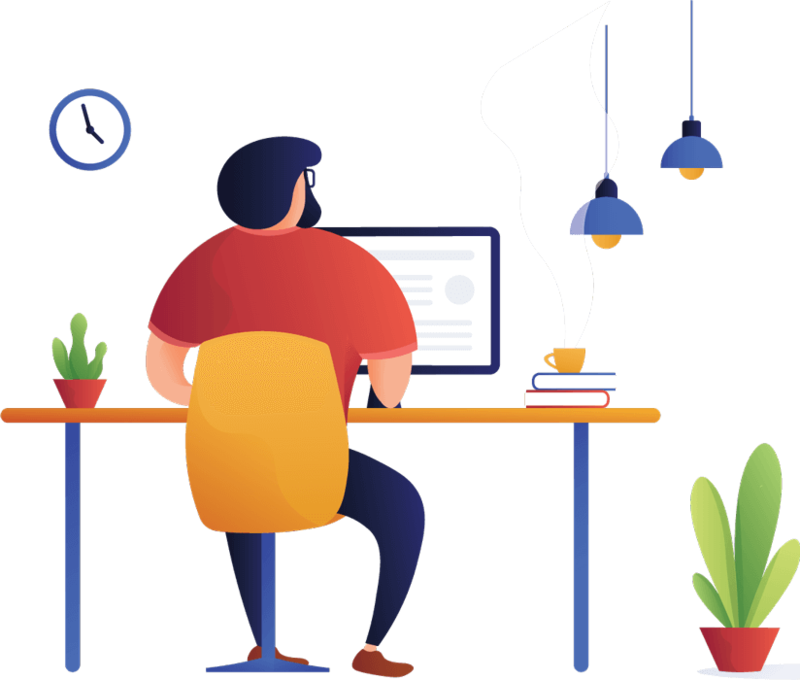 While running your project OR after completion of your project, we provide you the full-time support to resolve your queries for the development process. Hire PLC SCADA developer from Concetto Labs if you want to optimize the development time, Delegate work efficiency and generate maximum return on investment. Why can we be you prior PLC SCADA development company? We have highly skilled SCADA PLC programmer in our team with extraordinary technical knowledge and experience in using standardized tools and technology. We have proven our technical skills with great success stories of our previous work. We have worked in all type of project which includes a small, medium and large size of projects. We have great IT infrastructure and we have a very good pool of IT engineers to work with.